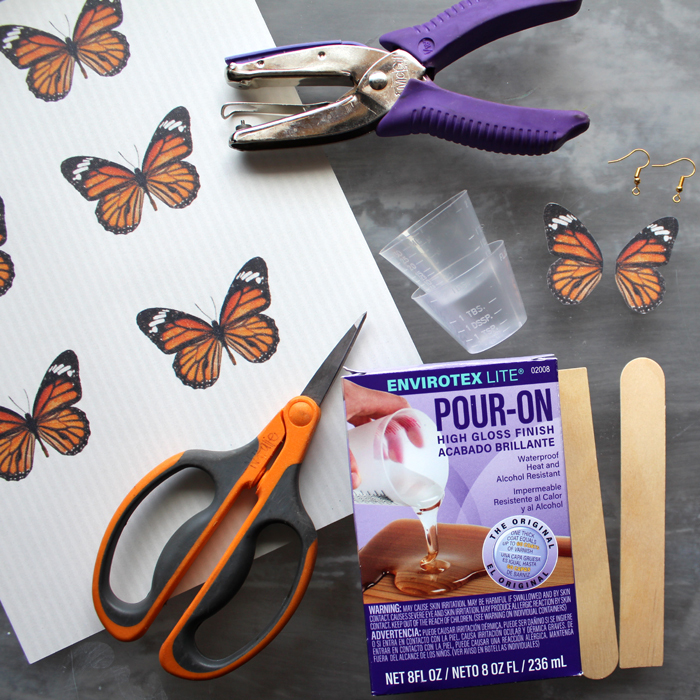 Hi Resin Crafters, it’s Natalie from Doodlecraft sharing a simple resin craft today. Butterfly wings are uniquely gorgeous. 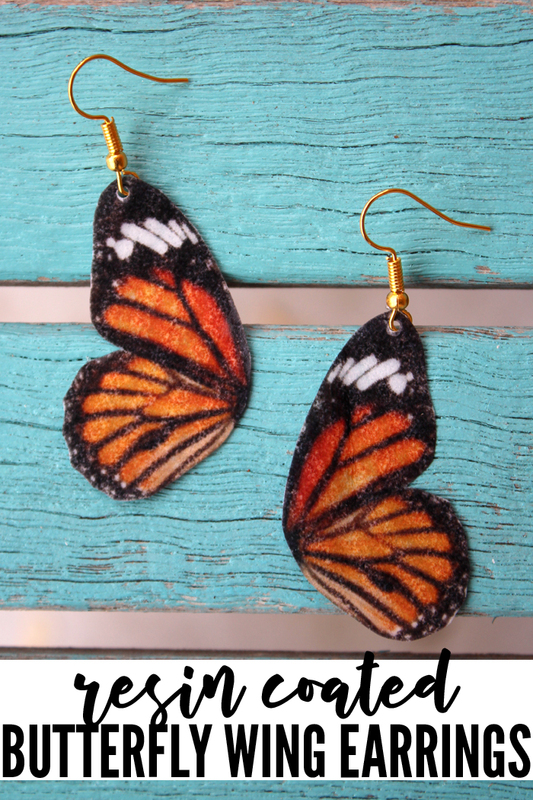 This is an especially perfect pair of earrings for Spring. 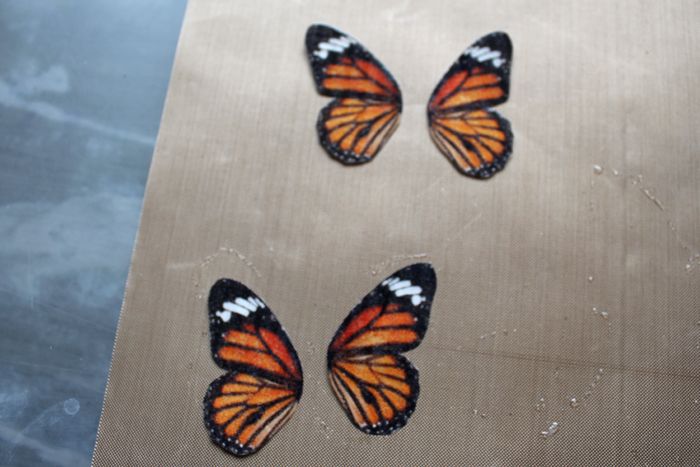 They are easy to make and require no butterfly to create them. 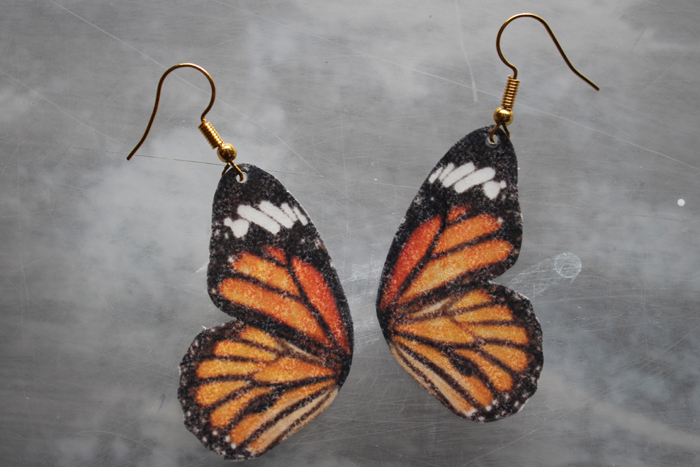 Make a pair of faux Monarch wings earrings for the perfect Spring accessories. 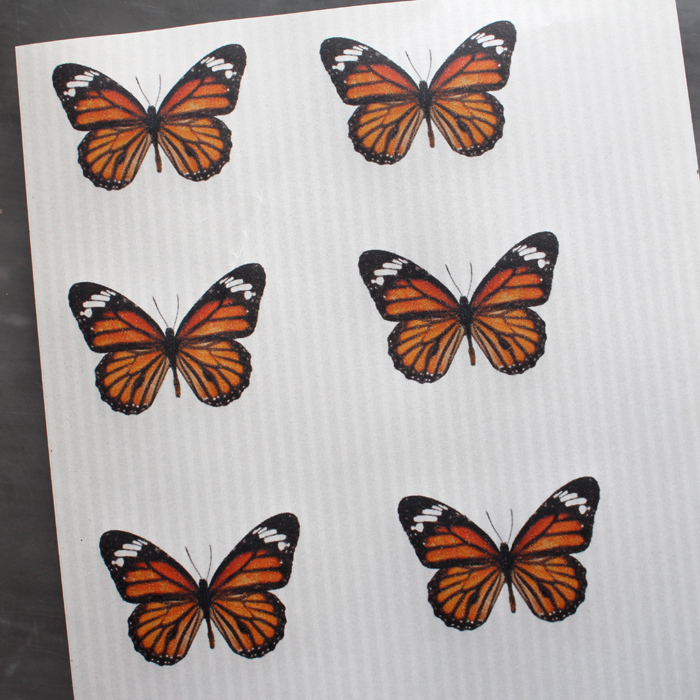 Begin by printing this monarch off on vellum cardstock paper with an inkjet printer (toner not necessary). Regular cardstock can be used too but will not look as ethreal. 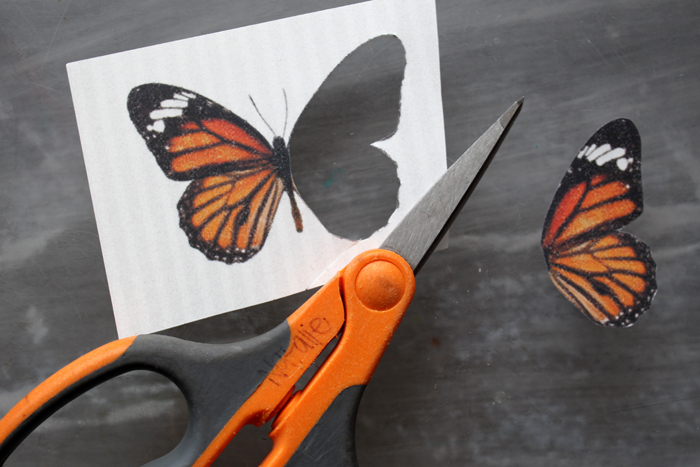 Next use scissors to cut one set of butterfly wings. Now mix up a tiny bit of Envirotex Lite into the mixing cups. Follow directions precisely. Pour about a “pea” sized amount of resin and a “pea” sized amount of hardener for one set of earrings. I mixed up 1/2 teaspoon of each in my small mixing cups and had enough left over to coat a painted rock the size of a softball! 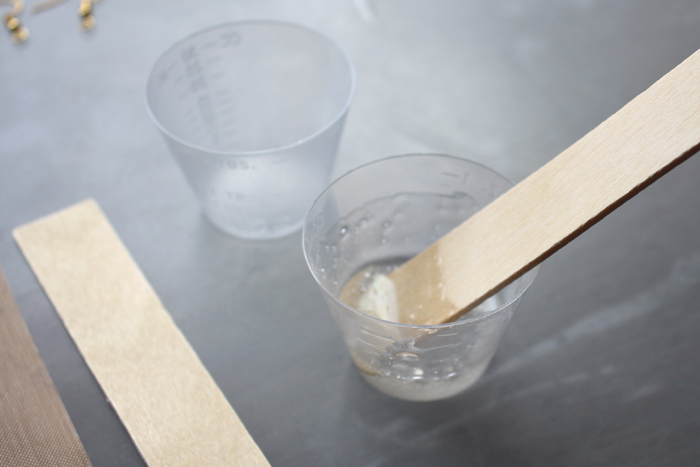 Stir in one cup for 2 minutes, then transfer the resin to the second cup and stir with a second stick for 1 minute. 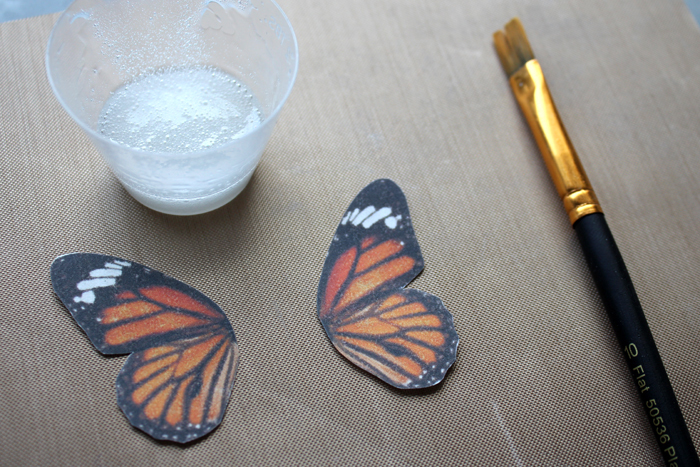 Now use the paintbrush to paint a thin layer of resin on each wing. Then use a straw to blow on any bubbles that have formed. Let the wings dry overnight. 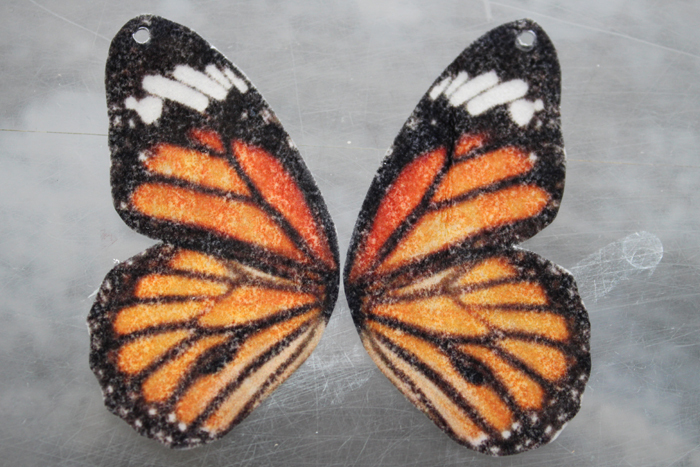 Resin will amber over time, so this project is especially great since the monarch wings are already shades of yellow. 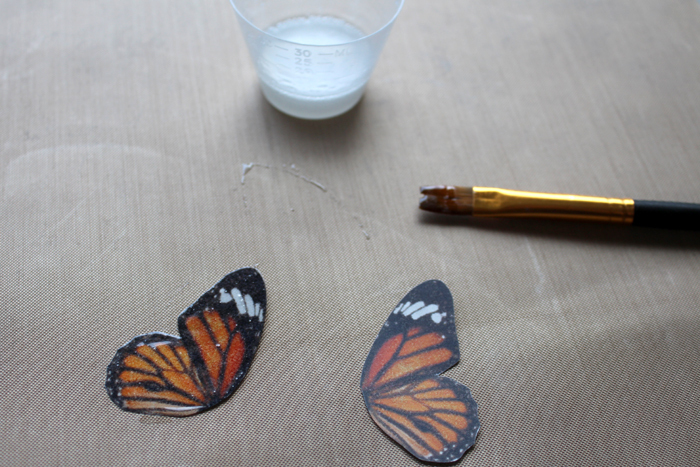 Once the resin is dry, punch a hole in the top of each wing. Just as pictured, as close to the top of the wings as possible. 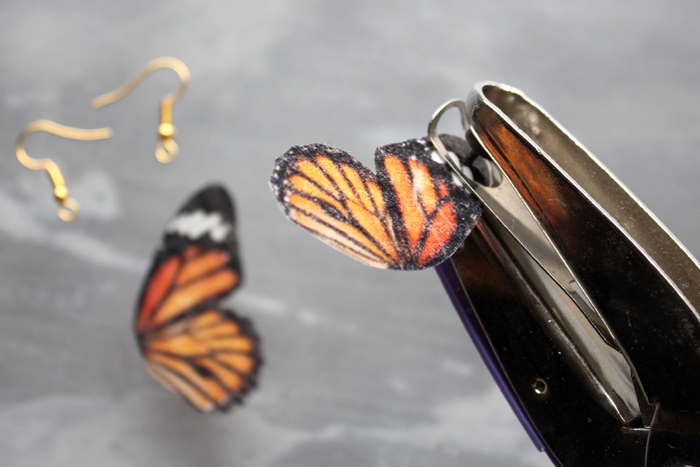 Finally, use jewelry pliers to attach the earring hooks to the butterfly wings. 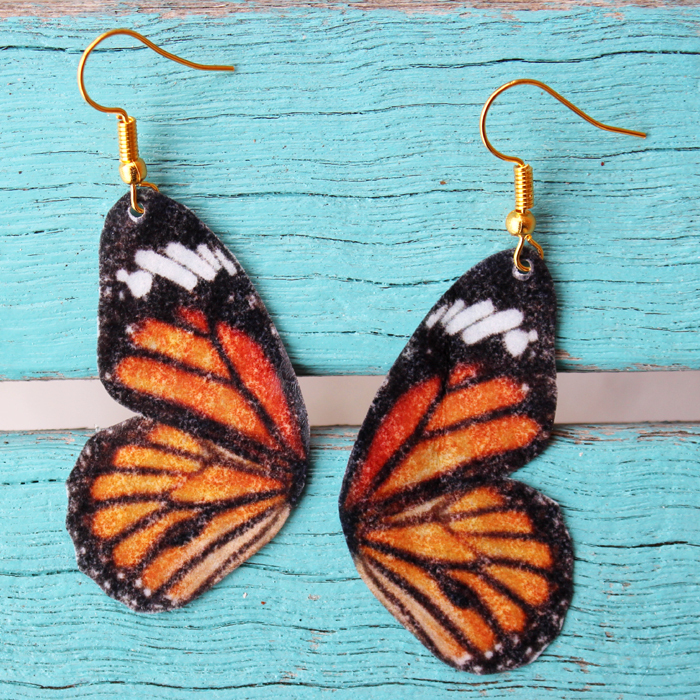 Perfect earrings to wear to a garden party on a Spring day! Natalie Shaw is a Craft/DIY blogger at Doodlecraftblog.com. She loves sci-fi, fantasy and video game geekery and that comes out in many of her projects. She posts budget conscious DIY’s, crafts, jewelry, kid friendly projects, upcycled treasures and other fun on her blog 5 days a week. Awesome! 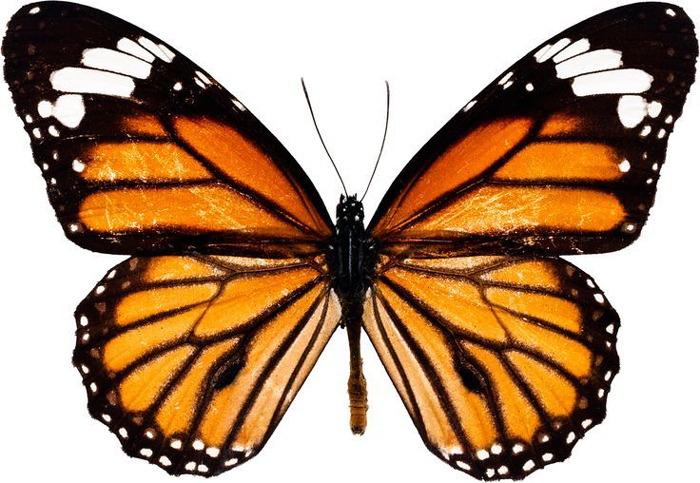 Can you use real butterfly wings todothis? Occasionally a butterfly doesn’t make it & I have the end body.